Bovada Casino is an online casino using software from Real Time Gaming, Rival Powered, Spinomenal and its own proprietary versions. 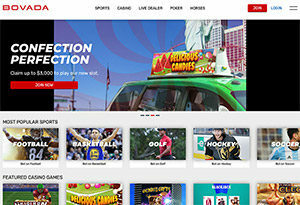 It accepts players from the US and you can deposit using Bitcoins if you want. Languages include English, Spanish, Portuguese and Chinese. 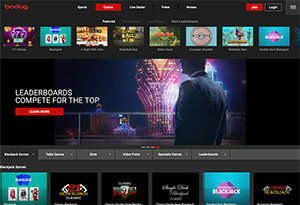 Bodog Casino is an online casino using proprietary software. It is licensed by the Antigua and Barbuda Directorate Of Offshore Gaming. There are both download and no download casinos. Languages include English and French. 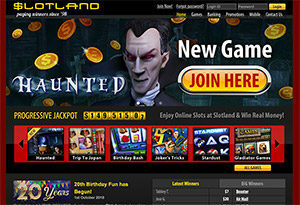 Slotland is an online casino using proprietary sftware. It is licensed by the Gaming Board of Anjouan, Comoros. There are both download and no download casinos. Languages include English and Spanish. 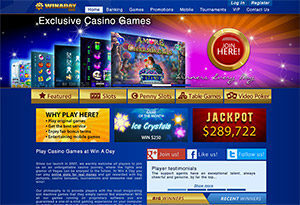 Win A Day Casino is an online casino using proprietary software. It is licensed by the Gaming Board of Anjouan, Comoros. There are both download and no download casinos. Languages include English.